No one will deny that tennis is a very attractive activity. Its popularity has grown tremendously in the last few decades. But have you ever given a thought that despite being very spectacular, tennis can be profitable not only for athletes and TV companies, but for wise bettors as well. Certainly, we wouldn’t call it easy money, as there are numerous aspects that should be literally analyzed to raise good money on it. Today we’ll specify one of them. But first let’s get reacquainted with the basics. • It’s very convenient to observe the current physical form of the players as, unlike collective sports, the outcome of the match depends on two persons only. • Referees have no tools to influence the course of the match. • Tennis events take place throughout the whole calendar year so one can benefit of it with no breaks. 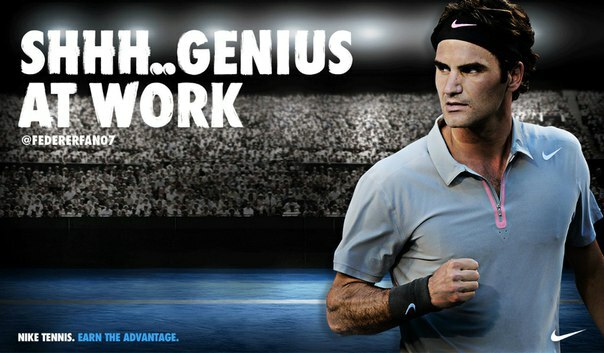 • Tennis matches have no time limit. The longest match in tennis history lasted for 11 h 05 and took three days to be closed! While the shortest one was finished in just 25 minutes. • Tennis is a dynamic sports and initiative may change hands in course of one match. • Tennis matches rarely pass without break points (point which is won by breaking the opponent’s serve). Statistically, there are 1.5 break points in every set. And of course, experienced bettors make the most of it to gain an edge and raise money. Let’s try to make a sense of it right now. • If your bet wins, your next bet should be the same 5$. • It’s very tough for your mentality to double the lost bets. Your hands will likely tremble to increase the bet amount. Can you survive it? • Good initial bankroll is needed to survive a loss of several consecutive doubles. .
• It’s vital to consider the bet limit set by the bookies as it’s very easy to exceed the acceptable betting amount. • If you’re new in betting, don’t exceed 5$ of your first bet. The odd should be at least 3! • We recommend to take the events with clear favorites and back them. Breakpoint strategy doesn’t work with underdogs. • Look at the first set score and start betting with the 2nd or 3rd set-list. • Choose men’s singles or double events where the odds tend to be higher. • Take your time to learn the playing specs of the upcoming opponents. Some of the players are not good at return, so they will do their best not to case break points to happen. At this point, Martingale system won’t work. To put it simple, Breakpoint system can be helpful. Test it before betting and follow our instructions to stay in plus! Thanks for reading and we’ll appreciate any feedback! Wanted to drop a remark and let you know your Feed is not funcnioting today. I tried including it to my Bing reader account but got nothing.